For most of his life, Bobby Humphreys owned big dogs. 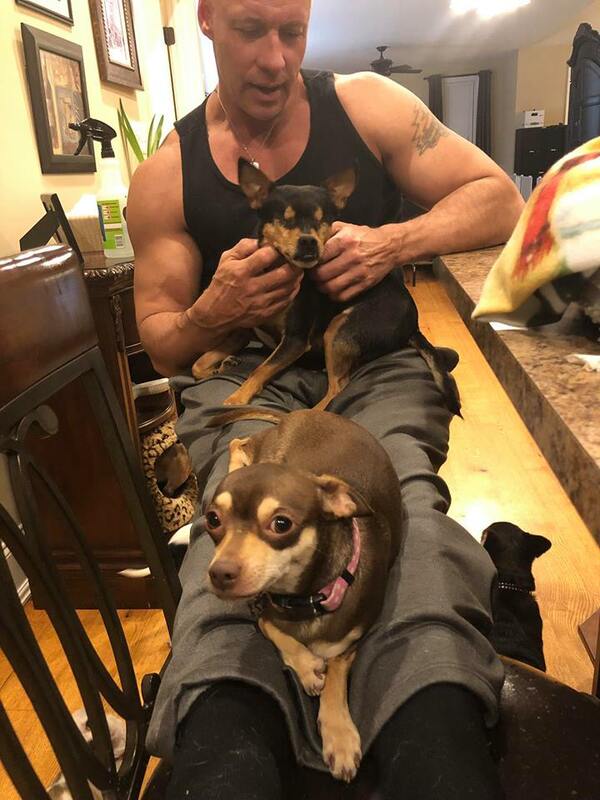 Bobby always thought of himself as a Rottweiler type of guy, and he never even thought of adopting a tiny dog like a Chihuahua. But then, Bobby’s life abruptly changed when his marriage of 17 years came to a sudden end. Humphreys was heartbroken, and he even considered ending his own life. But his friend Connie helped him through this dark period—she refused to leave his side. One day, Connie asked Bobby for a favor: she was moving and she wouldn’t be able to take her beloved Chihuahua Lady with her. She asked Bobby if he would take her in for a little while. He said yes hesitantly—he had met Lady before and she had seemed unfriendly. Still, Bobby wanted to help his friend more than anything. Connie dropped off Lady while Bobby was at work. When Bobby got home, he warily approached the Chihuahua. 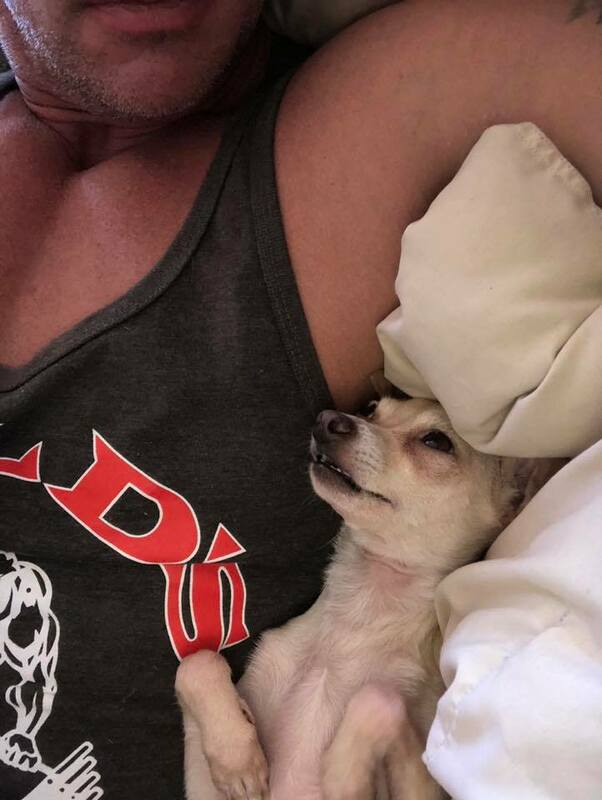 To his surprise, the little Chihuahua crawled in his lap. When Connie came over later to check on Bobby and Lady, she was amazed to see how quickly they had bonded. “[Connie] swore she’s never seen anything like this, this dog hates everybody. Lady and I have been literally inseparable ever since,” Bobby said. 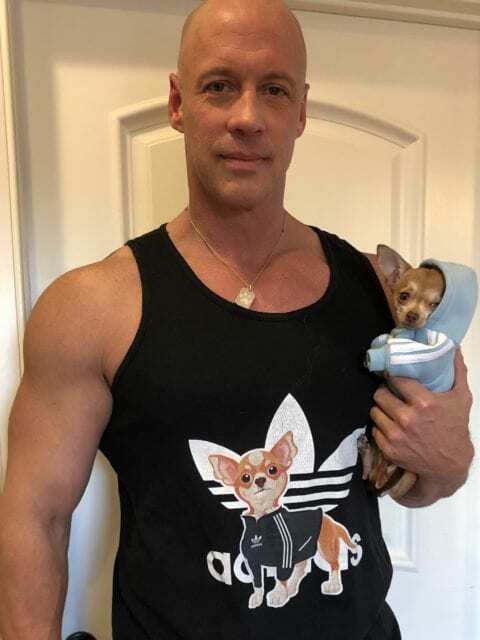 From that moment on, Bobby had a newfound love for little dogs. Eventually, Lady went back to live with Connie, and so Bobby decided to adopt a Chihuahua of his own. He chose a cute adult Chihuahua named Kira. The poor dog had been living in a home where the floor was caked with mud, and she wasn’t used to people. Bobby helped show her how to trust people again. 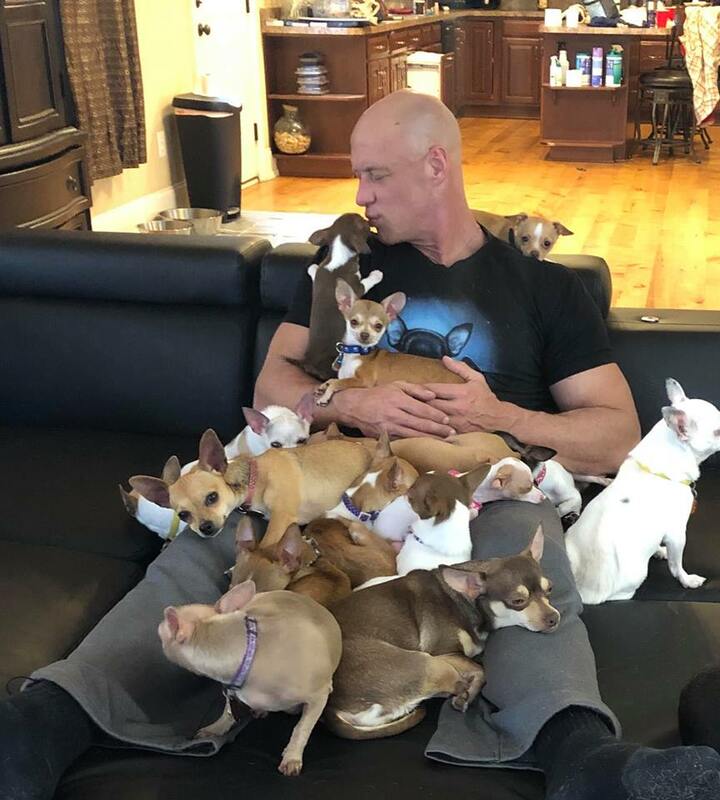 Bobby decided he also wanted to raise Chihuahuas from puppyhood. 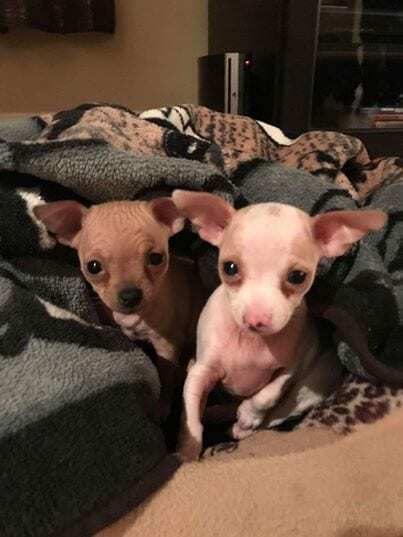 He found a little puppy named Harley on Petfinder, and when he saw the conditions they were living in, he decided to take her sister Quinn too. 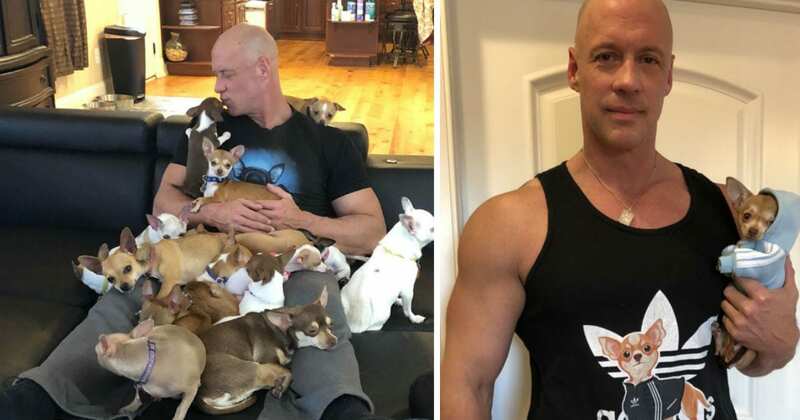 Bobby started taking home more and more Chihuahuas in need. Eventually, he decided to start his own animal rescue group: Big Guy, Little World Sanctuary. 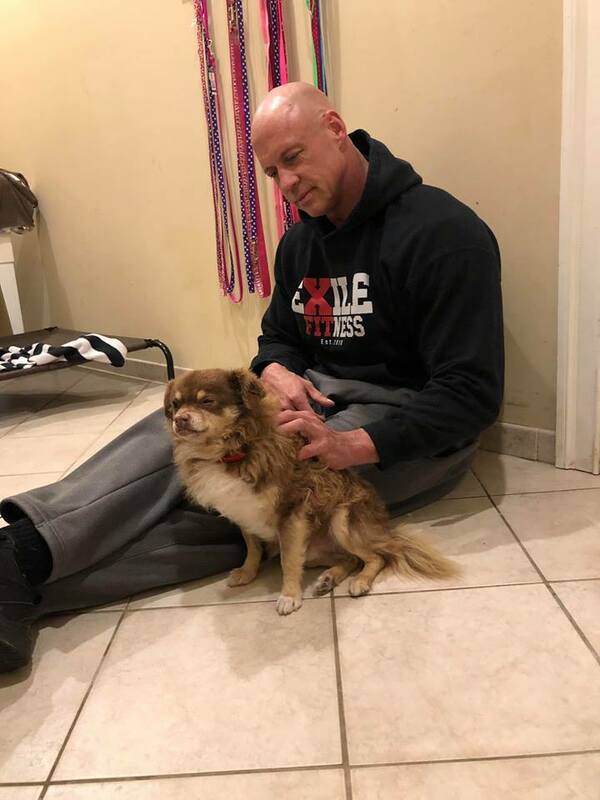 Bobby has now rescued more than 30 Chihuahuas. He carefully vets potential adopters, making sure that they’re the right people to take home these little pups. “We rescue Chihuahuas who are living horrible lives, abused, starving, disabled, mental issues, etc. We give them either a furever home with us where they will never have to experience neglect or anything like that again, or we nurse them back to health and adopt them out! We just want to help as many babies as we can,” Bobby said. Bobby is a big guy with an even bigger heart! 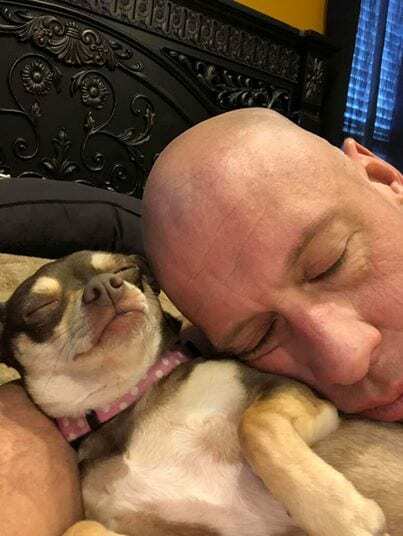 If you want to see more adorable photos of Bobby’s dogs, check out his Facebook page.